If you sign up for the Slayers Club, you'll get a Zombie Doom Slayer skin for Doom Eternal. Not even death can stop the Doom slayer. 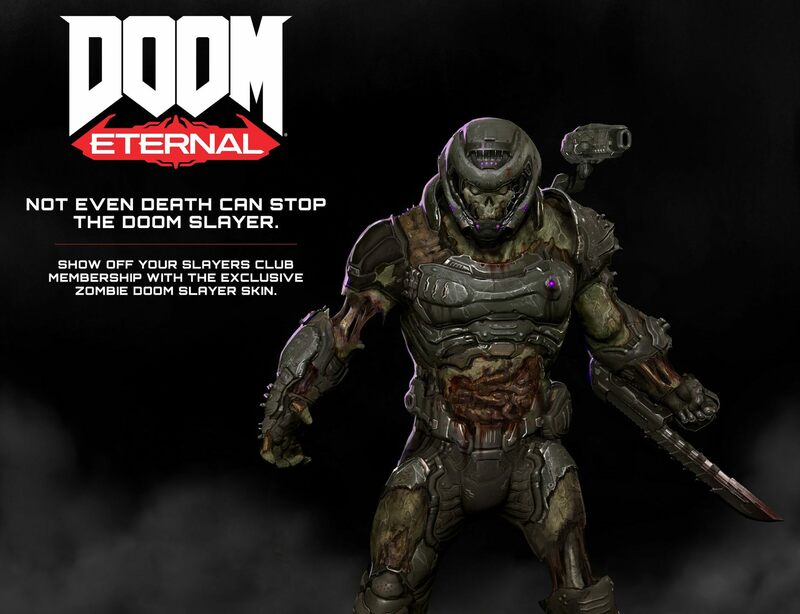 Bethesda has announced the Doom Slayers Club in celebration of the series' 25-year anniversary and any who sign up will earn a Zombie Doom Slayer skin for Doom Eternal. 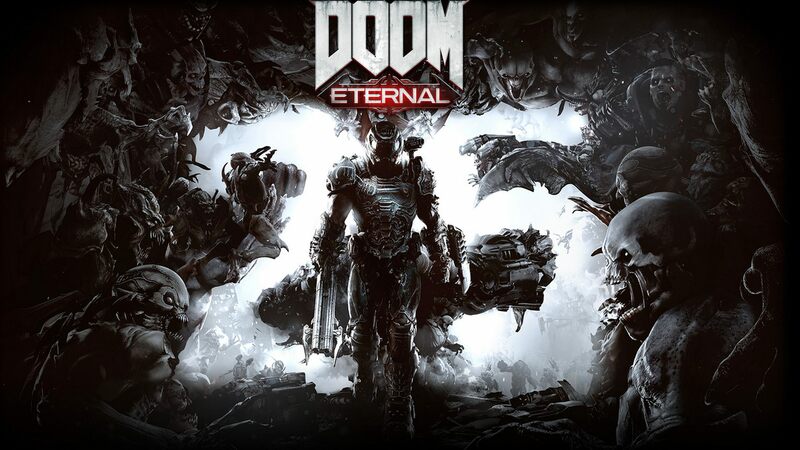 The skin will be useable in Doom Eternal's campaign and invasion mode, but the official image of the skin also states it can be used in an unannounced multiplayer mode. On the official Slayers Club website, the team reveals that the celebration of Doom will be unfolding over the next year. "Twenty-five years of mods, gibs, guns, and the most passionate, unwavering, and ardent fanbase this side of Phobos," the site reads. "Whether you cut your teeth in 1993 or if DOOM (2016) was your first trip to Hell, we’re asking all DOOM Slayers past, present, and future to unite in celebrating one of entertainment’s most iconic franchises." In addition to the skin that Doom Eternal players will get access to, there' a collection of physical merch and digital content now available in celebration of this major milestone. Digitally, Doom fans can grab a couple new wallpapers. Physically, there's new coffee mugs, t-shirts, and the Doom 25th Anniversary Limited Edition lithographs on the Bethesda store. John Romero, the co-creator of Doom, is celebrating in his own way as well with SIGIL, a free megawad for the original 1993 Doom. Doom experienced an incredible revival with the 2016 title and Bethesda is kicking up the slaying in Doom Eternal, which should launch sometime in 2019. When Eternal debuted at QuakeCon 2018, we witnessed some new movement mechanics like climbing and grappling-hook attached to a shotgun. We also learned that players will be able to take control of demons and the games of other Doom Eternal players. There's no official date or set of platforms for Doom Eternal, but players should expect a version on PC, PS4, and Xbox One at launch. 2016's Doom performed exceptionally well on Nintendo Switch when it eventually reached the platform, so Bethesda could deliver to the popular hybrid console at launch as well. Stay tuned to Shacknews for additional updates. "We also learned that players will be able to take control of demons and the games of other Doom Eternal players." Wait what? Doom Eternal will have a mode that lets players control Demons in other players single player games / or in the hord mode? Really? This is a feature in a FPS I've been waiting a lifetime for! Would be so cool to play a Doom map single player or coop and have the Demons controller by other players. And when a player controlled Demon dies, the player just takes control of another Demon. Is this what is happening with Doom 2019???!~?!??!?!?!? Yup. Though I think people can choose whether or not they want that feature to be enabled. NICE! Man I hope they really push the features with this concept. I'd love to be able to team up with a group of 4 friends and then have us all drop in as Demons on some single player's game. That would be fun to just bounce with that crew of friends as demons from game to game trying to kill people, making the game harder/different for people that want a challenge.